Note: location of food services is subject to change without notice. Please keep this in mind when selecting your booth. Exhibitor registration is open to CGA Members ONLY until December 1st. Non members may secure a booth after December 1st. Booths in the Exhibitor List below are no longer available. Exhibitor registration includes the booth, and ONE full delegate pass for the entire event. Additional booth staff may be registered through the general registration link on the home page or upon completing a booth registration. 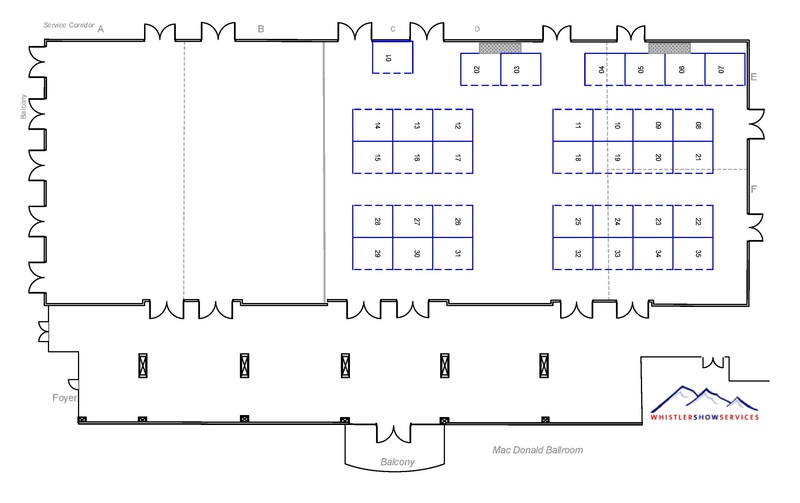 Booth ONLY fees apply to delegates who will ONLY be attending the meals, the plenaries and exhibition area. Booth ONLY delegates may NOT attend concurrent sessions but MAY attend plenaries. Concurrent session selection and attendance is ONLY available for full attendee registrations. 8 CAMCON Technologies Group Inc.
14 Galvanic Applied Sciences Inc.
31 Flow Meter Group Inc.